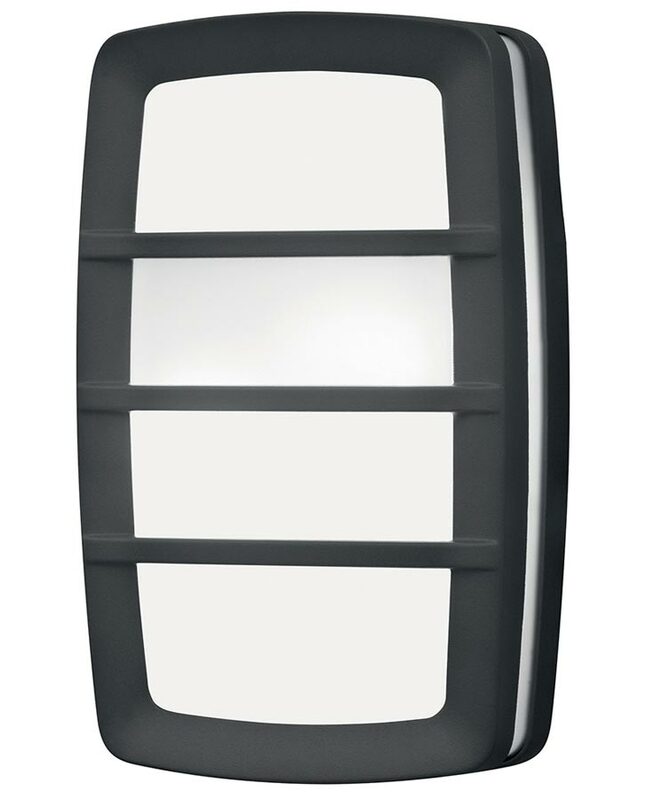 This Elstead Sven 2 light outdoor wall or porch lantern in graphite finish is rated IP54. 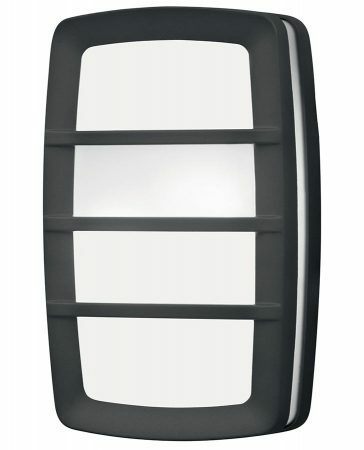 Tall rounded rectangular mount and fascia featuring three protective bars in graphite finish, with opal white polycarbonate shade sandwiched in-between. Can be used as a wall mounted bulkhead or flush mount porch lantern. The Sven collection brings together a series of sleek, modern wall fittings which are die-cast from aluminium and finished in graphite. The circular 3-bar fittings are just as well suited as ceiling fixtures as they are on walls, and the polycarbonate lens helps to maintain the minimalist appearance of each fitting. Exterior fittings must have an IP (Ingress Protection) rating which indicates the fittings ability to prevent solids and liquids penetrating the enclosure. The higher the number, the greater the protection. The minimum rating for an outside light exposed to the weather is IP23. This outdoor porch lantern is rated IP54. There are alternative fittings available in the Sven lighting range that can be viewed by scrolling down this page. This exterior light is supplied by Elstead Lighting, a British company that specialise in the manufacture and distribution of quality decorative lighting such as the Sven 2 light outdoor wall or porch lantern in graphite finish and rated IP54 you see here.